The Dubai Mall in Dubai in the United Arab Emirates is one of the largest shopping centers in the world in terms of 350,000 square meters of retail space. 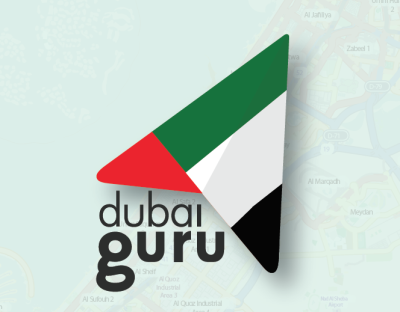 It is located in the new district of Downtown Dubai about 800 meters south of the middle Sheik Zayed Road. The Dubai Mall opened on November 4, 2008, initially with 600 stores and houses in the final building 1,200 shops, which attract 37 million visitors per year. However, this goal was not achieved in the first year with around 30 million visitors. Initially, 14,000 parking spaces were built, and later expansion is planned. The Dubai Mall has been accessible by public transport since January 2010 via the Dubai Metro Station, which is 800 meters away. The connection between the mall and the Burj Khalifa / Dubai Mall station has been established since December 2012 by an air-conditioned gangway equipped with roller conveyors (the so-called Metro Link). There is also a feeder bus (so-called feeder bus), which has played a minor role since the opening of the Metro Link. The shopping center also has 120 restaurants and the largest gold souk in the world with 220 stores, an ice rink with Olympic and ice hockey dimensions, a music-controlled fountain, a 24-meter water cascade, a fashion show hall, a multiplex cinema with 22 halls , a presentation Center for computer games, and a supervised children's adventure land. Another attraction of the Dubai Mall is the three-level aquarium. The largest basin has a footprint of 51 × 20 meters and is 11 meters high. In the largest tank made of 75cm thick acrylic glass are located in 10,000 cubic meters of seawater taken from the Persian Gulf, 33,000 sea animals and fish u. a. Sharks of several species, perches, rays and other reef inhabitants. Crocodiles, giant crabs but also seals and penguins are found in other smaller basins. Through the lower basin runs a two-meter-high narrow pedestrian tunnel, whose walls are only 19 centimeters thick, which serves the natural size reproduction of the animals. Since no natural light penetrates the pool, it has a lighting system with directing for day and night simulation; as well as feeding machines and a water-saving water recirculation and cleaning technology, the water is kept germ-free with ozone. All built-in and real-looking rock and coral objects are made of plastic to keep water quality under control. The water temperature is kept constant at 24 degrees Celsius. On 25 February 2010, the aquarium and the surrounding shops had to be closed after a jump in acrylic glass because of the escaping water for a few hours, animals have not been damaged. The Dubai Aquarium and Discovery Center received the Guinness World Record for the largest acrylic glass panel. The Dubai Mall, designed by Emaar Properties, is part of the Downtown Dubai project, which includes a large number of apartment and office buildings, numerous hotels and a newly built district designed to give the impression of an Arabian old town, a pool landscape with the world's largest fountain complex as the center of the world's tallest skyscraper Burj Khalifa heard. There is a direct walking connection from the Dubai Mall, which also has access to the viewing platform of the Burj Khalifa.